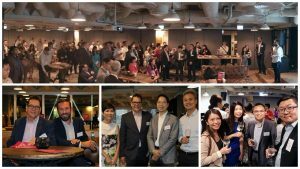 Hong Kong, September 9, 2016 /ChinaNewswire.com/ - CloserStill Media (CSM), organisers of Cloud Expo Asia and Data Centre World (total of 5,017 attendees* for its launch event in May 2016) – have this week announced a new event for enterprise IT professionals and service providers taking place at Hong Kong Convention and Exhibition Centre on 24th and 25th May 2017. Smart IoT Hong Kong will help thousands of business across North Asia develop cutting-edge IoT strategies and acquire the technical know-how to be able to deploy them across their entire technology ecosystem. “We cover the entire ecosystem with our cluster of shows, which at its heart is a content-driven model, world-class education programme, always delivered for free to the delegates to who are drawn from enterprise, government, service providers and the tech community. And next May Hong Kong will be the first place outside London where we bring all of these ecosystem events together – Cloud, Data Centre, Security and Smart IoT.” Michael Westcott, Managing Director of CSM said. At its heart, Smart IoT Hong Kong will host a major regional educationally-led programme presented by leading business and technology executives and global thought leaders. The tailored conference streams will cover pressing IoT issues, guided by business strategists and some of the world’s top technologists. The multi-streamed event will be advised by an advisory board which involves a team of world-renowned technology innovators: Dr. Winnie Tang, Co-chairman of Smart City Consortium, Mr. Eric Yeung, Founder and Managing Director of FlexWorkflow, Mr. Ernest Lo, President of Hong Kong Internet of Things Alliance, Mr. Jeffrey Au, Partner of Incu-Lab, Ms. Phoebe Fan, Board Member of Hong Kong Internet of Things Alliance, Mr. Matt Smith, Global Head Market Development – IoT, Cisco, Mr. KT Yung, Chairman, Hong Kong Game Industry Association and Mr. Hans Lombardo, CCO, Chain of Things. “Smart IoT Hong Kong will be a very unique event which engages both innovators in IoT, the technology community, businesses and government around the region. The event will help all these stakeholders understand how harnessing the power of IoT can lead to digital transformation. The Hong Kong Internet of Things Alliance is delighted to support Smart IoT Hong Kong which we believe will play a crucial role in driving IoT deployment further and from which business models will start to emerge.” Ernest Lo, Hong Kong Internet of Things Alliance (HKIOTA) added. The conference programme comprises of over 60 sessions, including keynotes, case studies, panels and workshops, delivered by thought leaders and expert practitioners from across enterprise, public sector, service provision, academia and vendors. With digital transformation at the programme’s core, topics will cover the full range of IoT infrastructure and data analytics, as well as applications in industry, smart cities, healthcare, buildings and education. The disruptive event will provide a practical guide for delegates, whatever their stage of IoT deployment. Tata Communications has also found that companies who have already invested in IoT have seen an average revenue increase of 28.5%, and have committed an average increase of 38% above their current IoT investment over the next 3 years. Apart from the Smart IoT, CSM has been gaining its reputation in the industry. “Our company has been cooperating with CSM for years, and the reason I keep coming back is when I look at my marketing plan, I realize Cloud Expo Asia always gives us the highest ROI, and our team gets to engage with the strongest people who are prepared to purchase services. Along this time, I simply see that CSM and its team genuinely care about the events, and it is this strong team that makes all these events successful” commented by Jason Singh, Head of Marketing APAC, Datapipe. To learn more about Smart IoT Hong Kong 2017, please visit www.smartiothk.com. *All figures independently BPA audited. CloserStill Media, the UK’s fastest growing business media company, specialises in high-value, content-driven events and the nurturing of B2B and professional communities. The company operates chiefly in the healthcare and technology markets. CloserStill’s international technology portfolio includes the world’s largest and best attended cloud and data centre events, Cloud Expo Europe and Data Centre World.